At Jeanne Marie we are delighted to present this product available for flower delivery in Newcastle and surrounding areas. 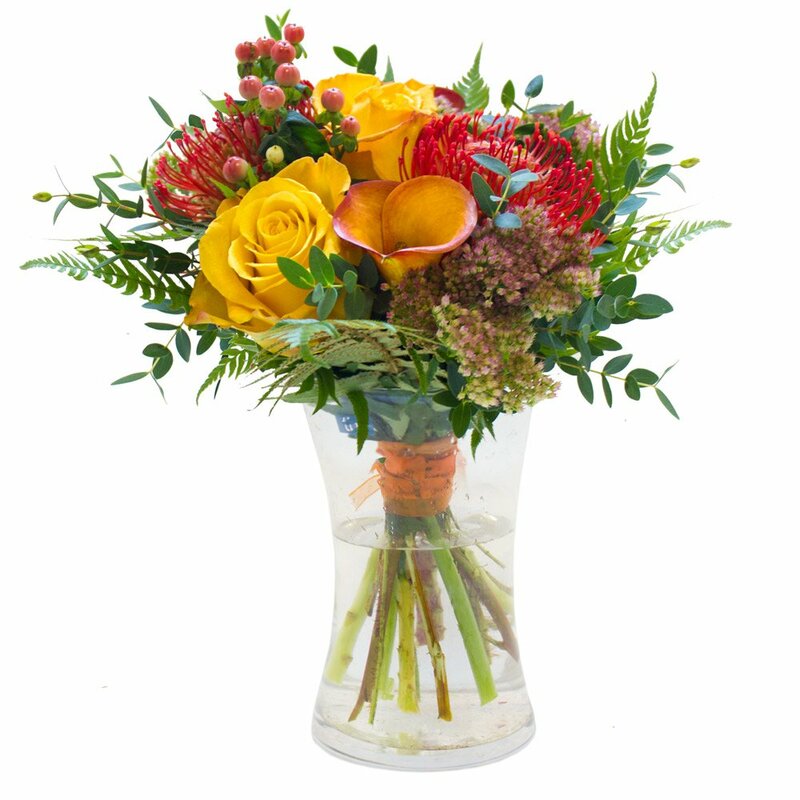 Golden reds and burnt oranges a country cottage style bouquet perfect for autumn. Only available for Next Day delivery.